Logitech has today announced the acquisition of Saitek from MadCatz for the price of $13 million in cash. Ujesh Desai, head of Logitech’s gaming peripherals brand Logitech G, said that the acquisition should augment the kind of gaming peripherals Saitek specializes in such as joysticks for flight-simulators, and customised racing wheels. It has also been hinted this week that Logitech G could make a big move in the virtual reality gaming space, not necessarily with HMDs, but with other related input devices. Although nothing at the moment has been confirmed. Logitech explains more in its press release. It’s an exciting day for Logitech G. We just acquired the Saitek brand and the Saitek line of flight, farm and space simulation game controllers. They’re the go-to products for anyone into games like Elite Dangerous, Eve Valkyrie, Star Citizen, Microsoft Flight Simulator and Farm Simulator. First, these products are just great. We know a thing or two at Logitech about what makes a gaming product stand out and these products deliver exceptional experiences. 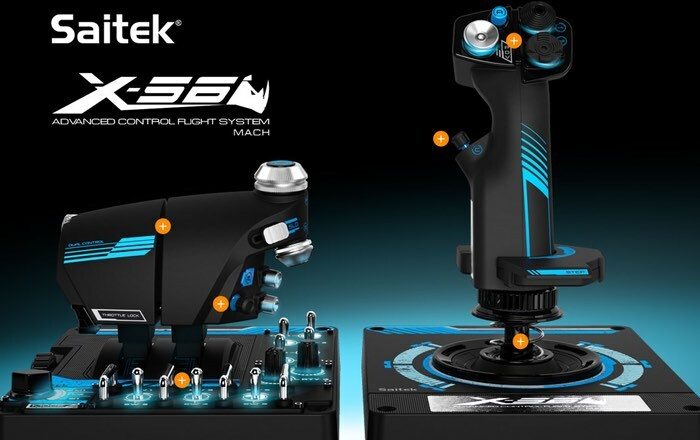 Don’t take our word for it – we’ve seen the Saitek fans on the forums. Last and most importantly, we’re excited to be a bigger part of the simulation community. We already make gaming wheels for the driving simulation market and this new line of products will provide an even more complete experience. We care about this space and want to do right by its fans. We have a vision that will take these products further, faster. Stay tuned for future updates, as we further integrate the Saitek products into our overall Logitech G portfolio.